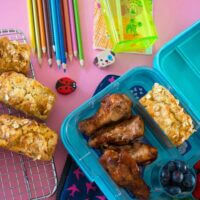 You are here: Home / Recipes / Lunchbox / Healthy banana oat mini loaves, no added sugar. Healthy banana oat mini loaves, no added sugar. It’s that time of year, when lunchboxes and things to put in them are at the absolute forefront of our minds. Even those of us who’ve been doing it a while start to think about ways we can make the whole experience easier, quicker and yummier for the year ahead. Or maybe that’s just me. These healthy banana oat mini loaves have no added sugar, they are high in fibre, freeze easily and they defrost really well. Using wholemeal flour and oats in these helps to give them a boost of good stuff! 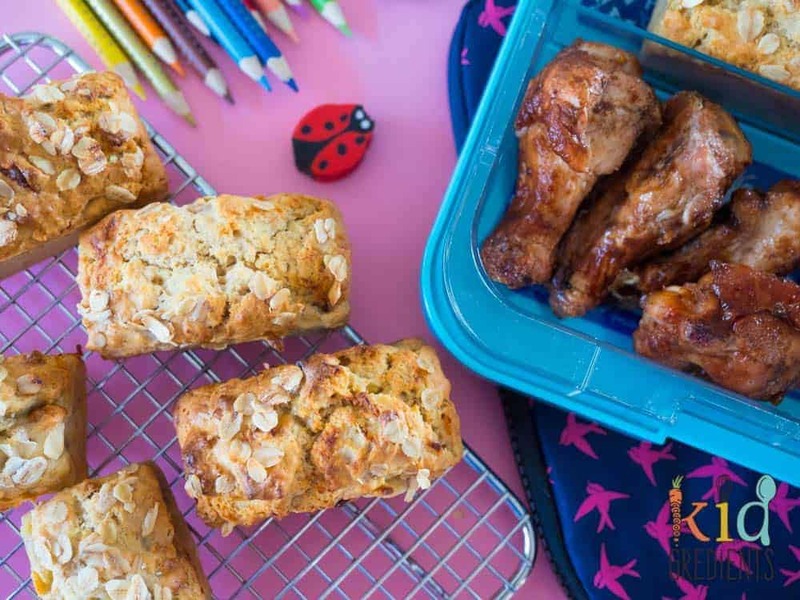 If you want to make them dairy free, sub the milk for your preferred milk substitute, keeping in mind that almond milk shouldn’t be used in lunchbox items and switch out the butter for coconut oil. Why bother making mini loaves? Well, these are just as good when made as cupcakes, but are super cute as mini loaves, and lunchbox variety is the spice of life! If you don’t have a mini loaf pan, check out this mini loaf pan from Williams Sonoma (this is an affiliate link and I earn a commission if you purchase from here after using my link). I have a silicone one as well and I find the shape is really cute for the lunchbox! I love to use up ripe bananas and this is the perfect way to use them. I had 6 tiny bananas that I used (but you can use 3 large no problems!). 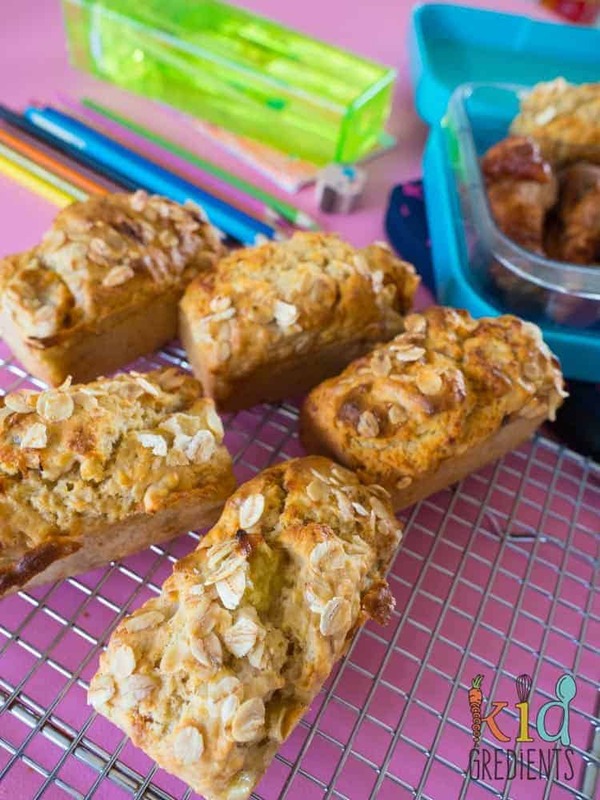 Don’t forget to defrost these healthy banana oat mini loaves over night in the fridge or pop in the lunchbox frozen in the morning if they are for lunch- I don’t think they would defrost early enough for recess this way. In the pictures they are in the top section of a Yumbox Tapas (this is an affiliate link). The lunchbox will still close with them in it! They also fit made like this in the panino and original yumboxes! 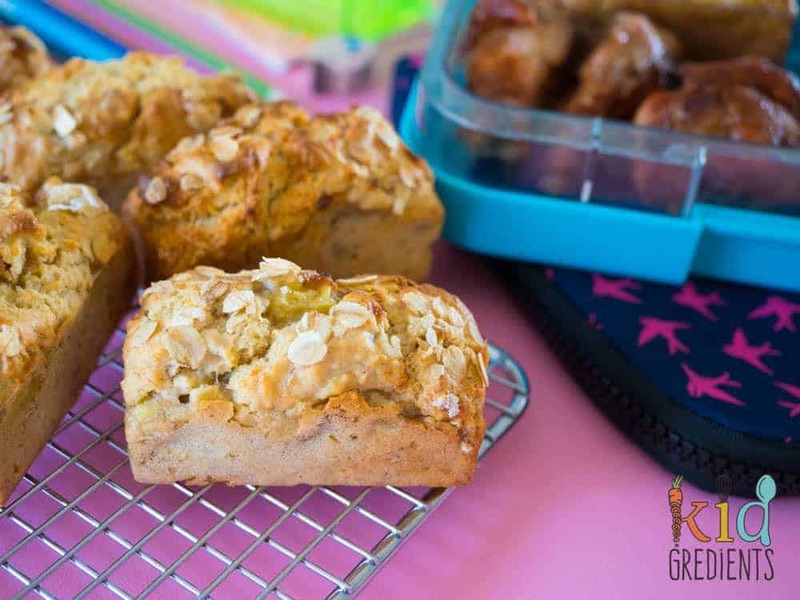 healthy banana oat mini loaves, perfect for the lunchbox and awesome as a breakfast food! No added sugar and the goodness of wholemeal and oats help to make these high in fibre and really yummy! Combine all the ingredients except the topping oats in a large bowl. Divide between 12 mini loaf pans. Bake for 25 minutes at 180 degrees.Remove from oven and cool in the pans for 5 minutes before transferring to a wire rack until completely cool. The nutritional label provided is a guess, not exact as many variables come into play, including the size of your bananas, eggs etc. Freeze these on a tray. Then transfer to a container or ziplock bag. 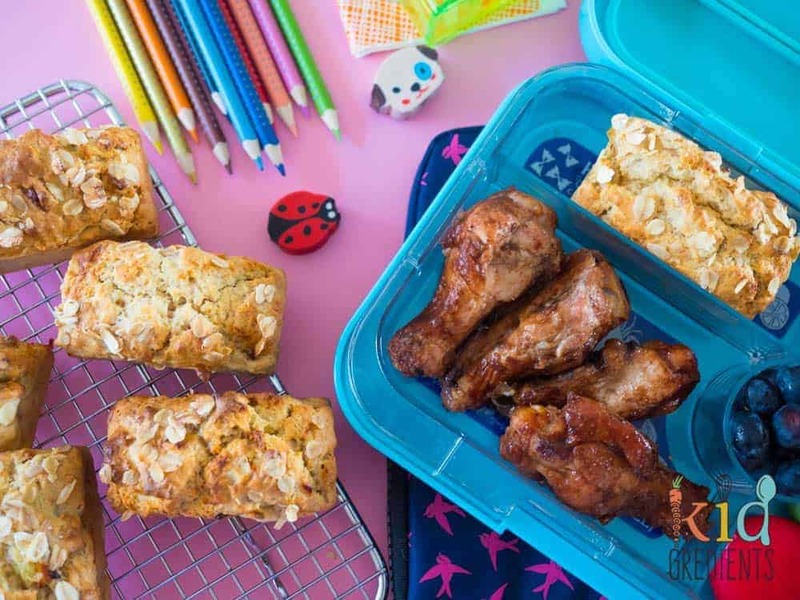 Younger kids will only need 1/2 a loaf in their lunchbox.